Grab your coat, scarf, hat and gloves and get ready to see Cornish skies illuminated with colour this weekend. There are plenty of fantastic places to watch the county’s firework displays this year - from beautiful beaches to pretty harbour towns. With so many to choose from, we’ve put together a list of some of our favourite places to spend Bonfire Night in Cornwall. Tremorvah Playing Fields will be playing host to the city’s firework display on Friday 4th November - gates open at 5pm with the display starting at 6.45pm. There will be plenty of hot food and drinks on offer, as well as glow sticks and sparklers for sale. All proceeds from the event go to Cornwall Air Ambulance and Penhaligon’s Friends. Tickets cost £3 for adults, £1 for children and under 4's go free. Children bringing a guy will have free entry – judging to take place at 5.30pm by Truro’s Mayor. The bonfire and firework display at the football field, Priory Park, begins at 7pm on Saturday 5th November, with gates opening at 6pm. Organised by the Rotary Club of Bodmin, tickets cost £5 for adults and £3 for children on the gate. This year’s display will be accompanied by music – including extracts from famous film soundtracks including Harry Potter, Star Wars, Superman and Jaws! The display at Falmouth Cricket Club on Saturday 5th November is set to be one of the biggest displays in the county. Gates open at 6pm and at 7pm the display begins when the Falmouth Firefighters let off £7500 worth of fireworks to music provided by Pirate FM. Entry is £4 for adults and £2 for children under 12. Taking place on Saturday 5th November this fantastic display is one of the prettiest in the county. The fireworks are let off over the village harbour, creating dazzling reflections in the waters below. The display starts at 6.30pm with a bonfire on the beach and a children’s Guy Fawkes competition. Held at the Magpies Football Ground and organized by The Rotary Club, this is set to be a fantastic event. Entertainment and hot food will be available from 6pm, with the firework display starting at 7pm on Saturday 5th November. Wadebridge Young Farmers’ Club is hosting a charity bonfire and firework display on Friday the 4th November with gates opening at 6.30pm and fireworks starting at 7pm. Held at Pengelly Farm, entry is by donation on the gate with all proceeds raised going to the YFC’s annual charities. Head to Porthtowan Beach on Sunday 6th November to see the weekend out with a bang. There will be a traditional bonfire on the beach and fireworks launched from the dunes. Food and drink will also be available. 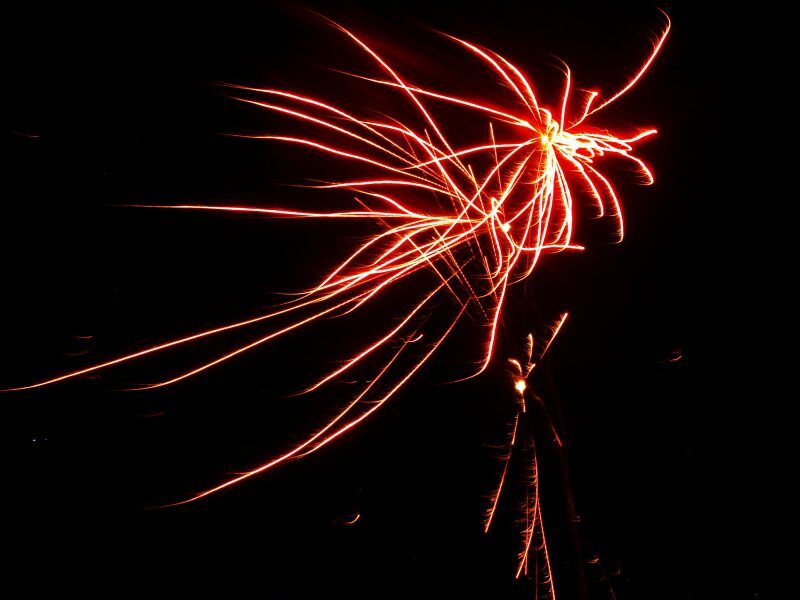 Celebrate into the week with Port Isaac’s fabulous firework display on the 8th November. Watch as beautiful shapes light up the sky over Port Gaverne Beach. With a bonfire, hog roast and free toffee apples for the kids, it’s set to be a great evening.